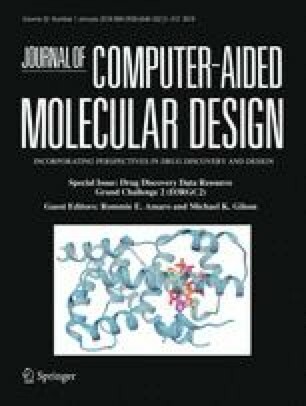 The 2016 D3R Grand Challenge 2 provided an opportunity to test multiple protein–ligand docking protocols on a set of ligands bound to farnesoid X receptor that has many available experimental structures. We participated in the Stage 1 of the Challenge devoted to the docking pose predictions, with the mean RMSD value of our submission poses of 2.9 Å. Here we present a thorough analysis of our docking predictions made with AutoDock Vina and the Convex-PL rescoring potential by reproducing our submission protocol and running a series of additional molecular docking experiments. We conclude that a correct receptor structure, or more precisely, the structure of the binding pocket, plays the crucial role in the success of our docking studies. We have also noticed the important role of a local ligand geometry, which seems to be not well discussed in literature. We succeed to improve our results up to the mean RMSD value of 2.15–2.33 Å dependent on the models of the ligands, if docking these to all available homologous receptors. Overall, for docking of ligands of diverse chemical series we suggest to perform docking of each of the ligands to a set of multiple receptors that are homologous to the target. The online version of this article (doi: 10.1007/s10822-017-0062-1) contains supplementary material, which is available to authorized users. The authors thank Vladimir Chupin from MIPT Moscow for helpful discussions during the development of the Convex-PL potential. The authors also thank Andreas Eisenbarth from the University of Kaiserslautern for the development of docking protocols. This work was partially supported by the Ministry of Education and Science of the Russian Federation (No. 6.3157.2017/PP).